I'm addicted to podcasts, and it's a bit of a problem right now. As I scroll through my iPod list of downloaded podcasts, I currently have 29 different ones and over 50 episodes to listen to! That's more than 50 hours of listening. Considering most are updated weekly, and I listen about 2-3 hours per day during the week, there's no way I'll catch up anytime soon. But it's almost like I'm a Podcast "collector" now - no matter the fact I haven't listened to the last 5 episodes of one podcast, when a new one comes out, I just "have" to download it too! The podcast subjects I listen to are somewhat varied among my many interests, and that's what is so fun about them - there are literally hundreds, maybe even thousands, of different podcasts out there, in just about any topic you can think of. NPR Fresh Air: I think Terri Gross is one of the best interviewers out there today. She always has such a varied selection of guests and topics. My favorite are the author interviews, and the 2 segments where she interviewed Jon Stewart were absolutely fantastic. NPR Culturetopia: if you haven't listened to Pop Culture Happy Hour yet, you're missing out on some seriously funny and witty listening. As someone who tries to stay "up" on the trends in our culture/everyday life, this podcast summarizes what's happening now very well. Manic Mommies: I pretend Kristin and Erin (hosts) are my neighbors I love them so much. They are such "real" moms who put it all out there: the good, bad, and sometimes very ugly of motherhood. Soemtimes I find myself laughing so hard I have tears coming down my face...a must-listen/subscribe for all Moms! Flylady: what, you don't know about The Flylady? If you're suffering from any form of CHAOS (Can't-Have-Anyone-Over-Syndrome) because your house is a wreck..run, don't walk to her website. Although I am a fluttering and sputtering Flybaby, her system and philosophy about decluttering, cleaning, and organizing your home has helped me tremendously over the years. Can't recommend her enough! Quilted Cupcake: really nice podcast about quilting, ideas for creativity, and fun projects to try. My favorite episodes are when she travels and gives a "quilters" recap of places to visit. Stash Resolution: like the Manic Mommies, I wish Sarah (host) was my neighbor too. She is a full-time working mom (like me) and crafts almost everyday. The amount of projects she completes amazes me. 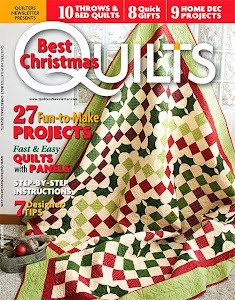 She is a quilter and knitter, and always has great information about both. 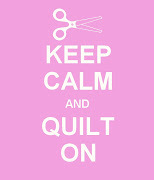 Sew-Stitch-Create: Brye Lynn is soft-spoken and down-to-earth, and every episode she provides really good information about quilting. I always enjoy hearing about what she's working on, and the different quilt-related topics she researches thoroughly and "reports" on. Creative Mojo: this is Mark Lipinski's relatively new podcast! I have loved him for a long time, he is so damned funny and his podcast is "true" Mark. You have to take him and his humor with a grain of salt and know he comes from a place where he really wants us all to be our best creatively, and is on a mission to take the "boring/stuffy" out of quilting and infuse it with a lot of fun. He has fantastic guests every episode, and I learn something new each time I listen. So there you have a few of my most-listened to podcasts. Definitely give podcasts a try if you haven't already! They fill the time when you're in the car, crafting, standing around, and since I'll be up late and often with a new baby next Spring, I know I'll get a LOT of catch-up time on some of the other podcasts I have in my queue. I just discovered your podcats and I am LOVINNNNNNNNG it. I went and downloaded all of them to my IPHONE and am starting from the begining. Thanks for sharing all the information. Throughout the podcast I am laughing (have to chuckle since I am listening at work). Keep them coming.